Can You Put a Sunroom on a Townhouse? Whether it is a small glassed-in porch or an over-the-top conservatory, a solarium helps expand the living space in a house by bringing the outdoors inside. 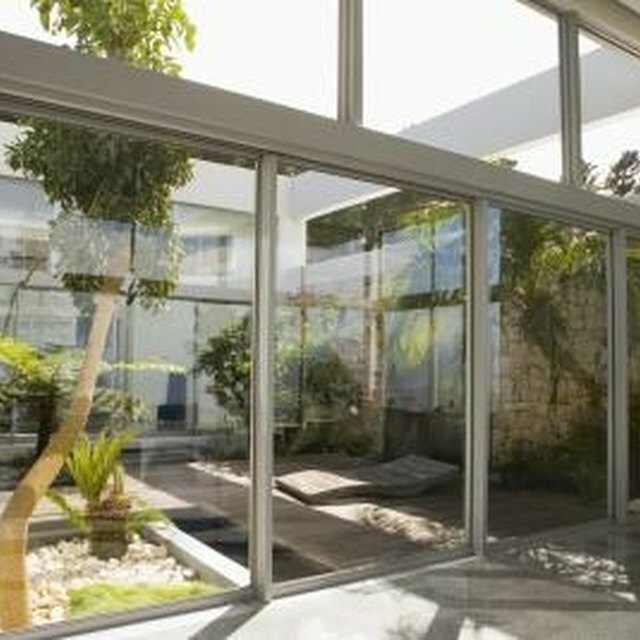 Offering all the advantages of being outside without any of the drawbacks, a solarium may also act as a greenhouse where people can raise tender and exotic plants. A solarium is a room with large glass windows or walls to let sunshine into the space. The name of such a space depends mainly on the house's location. In Florida, for instance, the room might be called a "Florida room" or a "sunroom," while in another place, it might be called a "patio" or a "sun porch". The principal purpose of a solarium is to give the residents of the house a place where they can enjoy the light and views of the outdoors without having to contend with its discomforts. In the summer, you can lounge on a deck chair without getting sunburned or bitten by mosquitoes, and in the winter, you can enjoy watching snow piling up without worrying about wet coats and cold feet In addition, since a solarium always has big windows, it serves to visually expand the interior of the house into the outside, giving the occupants the illusion of much more space than the house actually includes Solariums very often serve double duty as homes to plants that might not survive out in the open. One of the great pleasures of having a solarium is one's ability to cultivate flowering or green plants in it year-round. Such solariums usually have hard floors, such as tile or stone, that are impervious to the water that inevitably drains out of plant pots. In its least ambitious form, a solarium may be nothing more than a porch that later was enclosed, or a narrow room with a tile floor and large glass windows. At the opposite end of the spectrum is the conservatory, often a very elaborate space that may incorporate turrets, gazebos, stained glass windows and lights, built-in bookcases, and copper-clad roofs in its design. People may include a solarium in their plans when they build a house, or they may choose to add one on at a later point. An added solarium might range from a modular unit purchased from a manufacturer and simply assembled on-site, or a custom design that requires an architect's attention. One of the most famous such additions is the Sun Room at the White House. President William Howard Taft added the sun room as a sleeping porch to the third floor of the executive mansion early in the 20th century. Built over the portico on the south side of the building, it looks out toward Constitution Avenue and the Washington Monument. Since its construction, many of the First Families have used the Sun Room to as a place to relax. Its big windows open onto the Promenade, complete with flowers in window boxes, that encircles the portico. What is an Uncovered Porch? What Is a Parlor Room?